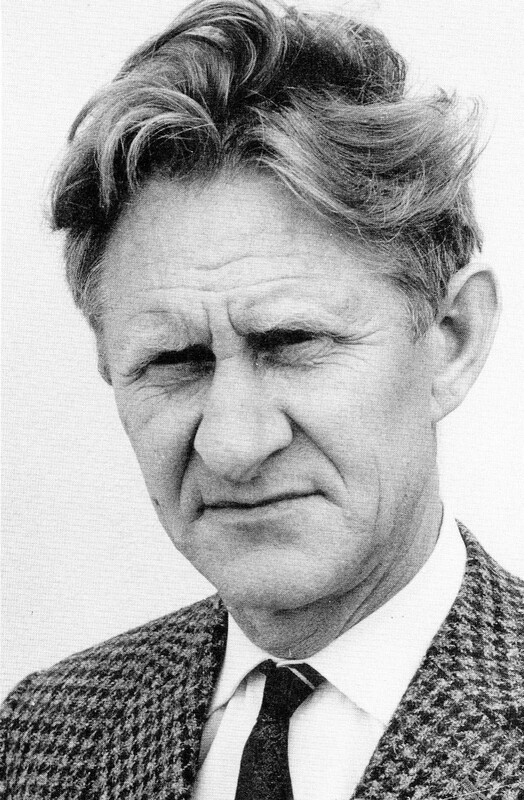 Þorbjörn Sigurgeirsson (1917-88) was one of Iceland‘s most distinguished scientists. During his tenure as professor of physics in 1957-84, research and teaching in science at the University of Iceland developed rapidly. See https://notendur.hi.is/~leo/Ritskra_ThS.pdf. Sigurgeirsson initiated a range of projects related to geomagnetism. He established a magnetic observatory, which has operated continuously since 1957. He was a pioneer in the study of paleomagnetism, i.e. the magnetic directions preserved in lava flows. He also carried out a complete aeromagnetic survey of Iceland. The intensity of the geomagnetic field varies by a few percent from place to place. Such variations are caused by the magnetization of different rock formations, reflecting to some extent the age and local structure of the Earth‘s crust. This even applies when the crystalline basement is covered by soil, glaciers, or the ocean. For the aeromagnetic measurements, Sigurgeirsson designed a very sensitive novel type of magnetometer as well as recording equipment for the data, and later Loran-C receivers for positioning. The instruments were constructed at the Science Institute of the University. The magnetic survey was initiated in 1968 in SW-Iceland and gradually extended to other parts of the country through 1980. Sigurgeirsson piloted the aircraft himself. The total length of the survey lines has been estimated at 33 thousand km, not including for instance the flights to and from each surveyed area or flights to test the instrumentation. Nine map sheets in scale 1:250,000 showing the magnetic anomalies along the flight lines were published by the Science Institute in 1970-85. 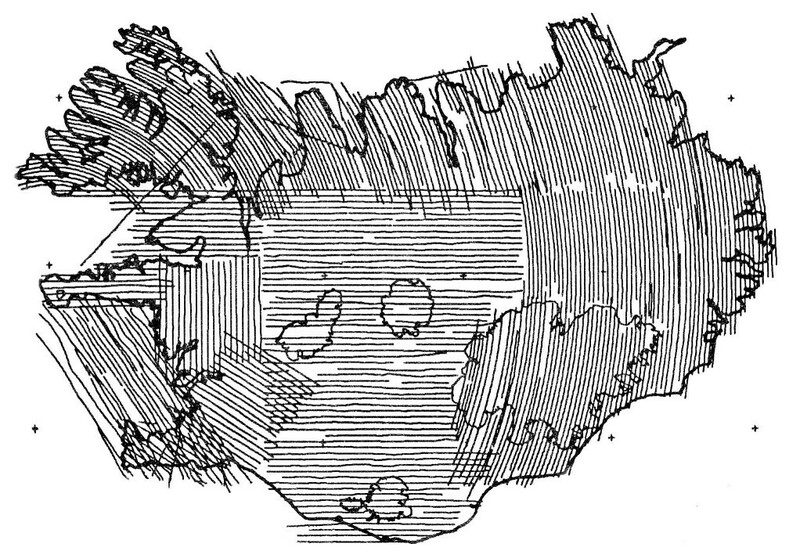 Studies of these maps revealed the existence of many features in the crustal structure of Iceland which had not been fully appreciated before. The maps have not been available for a number of years. On the occasion of the centenary of Sigurgeirsson‘s birth, a set of the anomaly maps has been scanned at 600 dpi and made accessible at the website of the Institute of Earth Sciences in the Science Institute (http://jardvis.hi.is/segulkort_thorbjorns_sigurgeirssonar). Contour maps of two of the map sheets, made in the 1970s, have also been scanned. Among other things, the Icelandic anomaly data were incorporated into magnetic maps of the Arctic and North Atlantic Oceans published in 1983, 1987 and 1996. In 1985-86, some minor additions to Sigurgeirsson's survey were made by Science Institute staff. The field-intensity and position data from all the nine maps were then converted to a unified digital format, in combination with results from an Icelandic marine survey in 1972-73 and an offshore airborne survey by the U.S. Navy Oceanographic Office in 1973-74. This work resulted in 1989 in the production of a multicolor map in scale 1:1,000,000 accompanied by a report (https://notendur.hi.is/~leo/greinar/Skyrsla1989.pdf). Þorbjörn Sigurgeirsson also carried out several detailed airborne surveys in locations of special geological interest. These included the new volcanic island Surtsey (in 1965, by helicopter), high-temperature geothermal areas, and extinct central-volcano complexes. Some of the detailed surveys were commissioned by the National Energy Authority. Left: Þorbjörn Sigurgeirsson. Right: Flight lines in 1968-80, with minor additions in 1985-86.